Marble countertops and granite countertops are obviously similar in that they are both natural stone building materials. The fact that they are both stone materials means that they are hard, very heavy, and a bit more costly and time consuming to install when compared to their synthetic counterparts. Another similarity between marble countertops and granite countertops is that both contain unique patterns created by nature. Because of the uniqueness of each piece of stone, the patterns cannot be exactly replicated. That means that what you order may not be the exact piece of stone that you receive. If you are aware of this up front, you won’t be disappointed later. All of the patterns and colors in granite and marble are beautiful and unique. Both marble countertops and granite countertops are relatively easy to care for. Unless you purchase a specialty presealed type of stone, you will need to reseal your marble or granite countertops annually. This will help prevent the countertops from becoming stained by oils, wine, juice and food coloring. 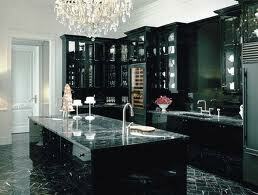 Both marble and granite resist high temperatures. This makes them great in the kitchen. Although placing a hot pan onto the surface will not burn it, it is possible to crack it if the temperature of the countertop is cold. Think about how a cold glass will crack if you pour hot liquid into it.